With stress levels rising during exams at Wilfrid Laurier University, skipping meals is unfortunately one of the neglectful behaviours seen during these times. What many students don’t realize is that Wilfrid Laurier University’s Students’ Union’s food bank service is a resource available for these situations. 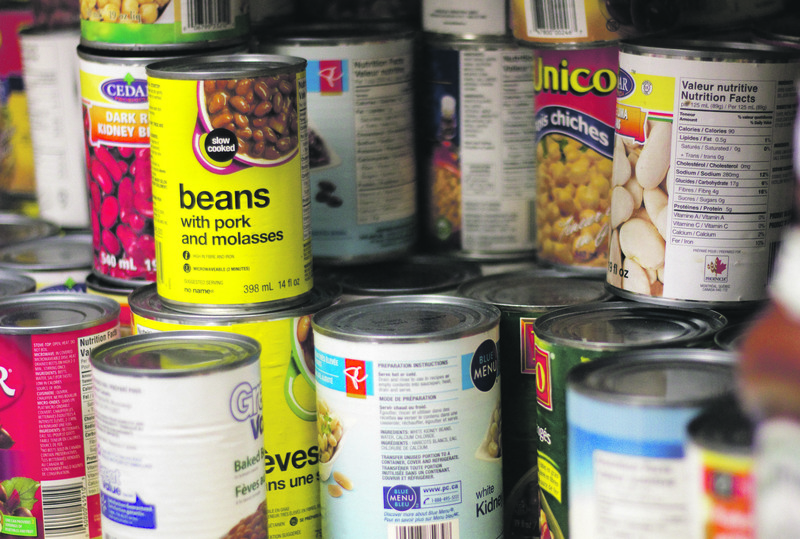 “The Food Bank isn’t just for those who can’t afford food,” said Greg Nosal, the Food Bank coordinator at WLU’s Waterloo campus. Many students would feel inhibited from using the Food Bank for any other reason other than absolute necessity, but this negative stigma surrounding the use of food banks is one that Nosal would like to eliminate. “Some people think, ‘If I use a food bank, I’m financially unstable,’ but if you just don’t have the time, that’s a good enough and legitimate reason to use the Food Bank,” explained Nosal. Although obviously available for those who are financially constrained, the service is there for any student that needs it for their well-being. “We realize that food is a big part of your learning. If you’re hungry, you obviously can’t learn to your full potential,” said Josh Proksch, vice president of campus experience. 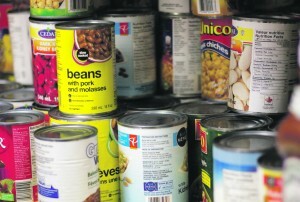 The Food Bank, which has been around since 2006, works as an anonymous delivery program accessible through the WLUSU website. It works in a bidirectional partnership with the Waterloo Food Bank through donations from the WLU and Waterloo community. The only information required when requesting food is a student identification number and an e-mail address. And the request is very quickly processed and made ready to be picked up on campus — usually within hours. In the package, students get on average a week’s worth of assorted foods that can also include fresh foods and basic toiletries if requested. “We can accommodate almost any dietary restrictions and if we can’t, we’ll try to find a way,” said Nosal. Proksch and Nosal agreed that the service has been useful and successful, but they acknowledged that awareness of its availability to everyone still needs to be further promoted. The Food Bank has been doing this through initiatives such as early introduction of the service during Orientation Week. “Whether you need the food for financial reasons or whether you need the time and you can’t go to the grocery store, you can use the service,” concluded Nosal. The Food Bank is currently also coordinating other events such as Food For Fines, which includes paying off late fees at the library with donations, as well as Pancake Tuesdays, where students can get free pancakes. Students can conversely donate to the Food Bank through the Farmers Market, which is set up in the concourse every Wednesday, the library or a collection box that will be set up in the concourse. To anyone who wants to request food from the WLU Food Bank on Waterloo Campus, the form is located here: http://www.wlusu.com/food-bank-request-form/. One way to donate to the WLUSU Food Bank is through the Library’s Food For Fines program – bring your cans to the Circulation Desk and get $2 per item off your overdue fines in addition to helping out. The program runs until Dec. 14 this year. Full info here: http://library.wlu.ca/foodforfines.